On 13 October 2015, the Taiwan Center for Disease Control announced that the number of dengue fever infections increased by 346 cases from the previous day. The fever outbreak has reached 23.456 cases in total. The number of dengue fever infections reported in Taiwan since the start of May has reached 23,456, the Center for Disease Control (CDC) said Tuesday. The latest figure represents an increase of 346 cases from the previous day, the CDC said. As of Monday, 19,421 cases had been reported in the southern municipality of Tainan and 3,645 in neighboring Kaohsiung, according to CDC figures. In Tainan, the number of infections increased by 217 from the previous day, but that was 105 fewer new cases than reported on the same day last week in the city, the CDC said. Kaohsiung, meanwhile, reported 126 new cases on Monday, 19 more than the increase on the same day last week. 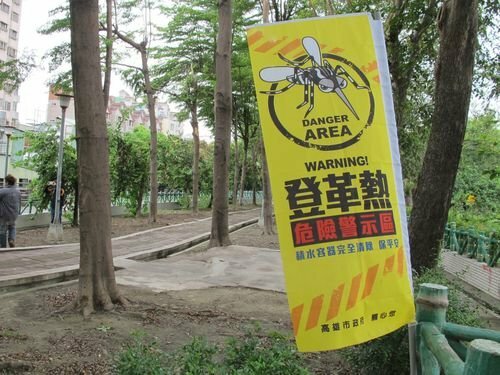 Liu Ting-ping (劉定萍), director of the CDC Epidemic Intelligence Center, said the dengue fever outbreak in Tainan has slowed down, with the number of new cases reported there last week being 70 percent of the previous week. The dengue fever outbreak in Kaohsiung, however, has intensified, Liu said. The number of new cases recorded there last week was 30 percent higher than during the previous week, she said.